Interlaced loops pattern by Dottie Hoeschen. 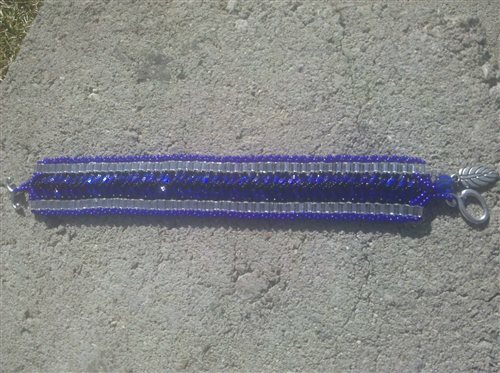 Used 4mm silver-lined clear cubes, cobalt blue triangles, black seed beads sizes 8 and 15, cobalt blue seed beads size 11. Pictures can't capture the electric look of the colors.